Nita Microtek can get designed Web Sites for companies of all sizes seeking to establish an effective presence on the Internet. Our vision is to create compelling Web Sites which draw users , offer innovation solutions for your business, and most of all help you become more successful. Using an energetic blend of technical expertise, creative ingenuity, business savvy and with responsive, friendly service, we are able to integrate your ideas and concepts to design superior Web Sites at the best value. 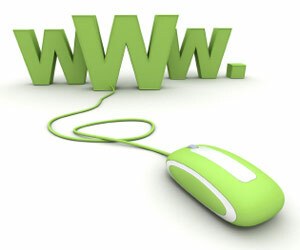 Web is changing the way we conduct our business transactions. It is acting as a catalyst fuelling the economy globally. 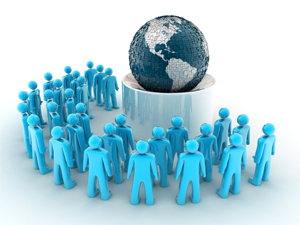 As a result a whole new world with unlimited opportunities is opening its doors to Business Houses across the world. Nita Microtek designs/develops website for all types of requirements starting from Basic Website to E-Commerce / Database Driven Application Interactive Website as per needs/requirements of the Clients. What makes us you best bet though is the fact that we take up all jobs, no matter how big is or small. We make it our goal to constantly incorporate the latest technologies and solutions to transform your Websites into a Virtual Sales Person and a Store Front. We have hosted some of the most successful Websites which have demanded high level of conceptual designing, programming competencies and enhanced use of expertise on Database Technologies, Communication etc. We at Nita Microtek believe that the right step towards this direction would be making use of our experience and expertise to develop Web enabled Applications. Nita Microtek methodology combines the best practices in the Industry with focus on prototyping, reuse, UML, analysis design, tracking tools risk analysis, early risk mitigation, component development to building expertise in Web Development Solutions, supporting implementation, knowledge management, methodology development, alliances and best practices.